Launched on April 1 at the analytica expo in Munich, MCP 100 is the accomplished results of 40 years of German engineering. With a footprint comparable to a small newspaper, this polarimeter offers all the convenience of an automated measurement in a compact package for academic research as well as measurements of chiral substances in the pharmaceutical, cosmetic and chemical development and production. With its integrated Peltier temperature control to 20 °C or 25 °C, the instrument meets many requirements and fully complies with the pharmacopoeia and CRF 21 Part 11. Its precision and accuracy puts MCP 100 in pole position for pharmaceutical applications. 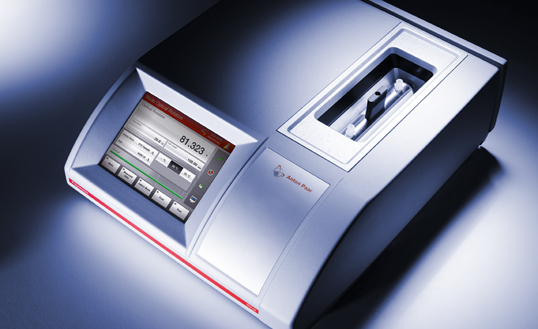 The polarimeter features an intuitive user interface and a wide range of measuring cells, so it lends itself to flexible application in many laboratory workflows. See for yourself: Learn about the instrument’s benefits in videos or live demonstrations in your laboratory.